The Bloomfield Village Fire Department was initially conceived by Judson Bradway in the early 1940’s. It came into reality in early 1942 and was called the Bloomfield Village Protective Association. 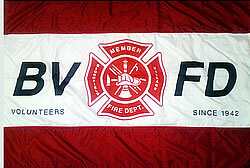 It served both as a fire department and a civil defense organization. The civil defense portion was disbanded following the end of World War II. Today, nearly 70 years later, the Bloomfield Village Fire Department continues to serve the community. It is comprised of 17 volunteer members and one full-time/paid Deputy Fire Chief. The department works in close conjunction with and ultimately under the direction of the Bloomfield Township Fire Department. They respond to fire related calls and general alarms anywhere within Bloomfield Village as well as the Village Knoll Shopping Center and some adjacent residential areas. The area of coverage is bounded from Glenhurst Road to Lahser Road on the east and west, and Quarton Road to Maple Road, on the north and south. 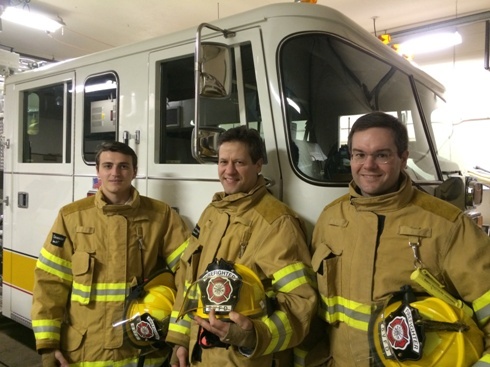 All the members of the Bloomfield Village Fire Department are fully trained and certified in accordance with current state firefighter regulations. They are also annually certified in CPR and emergency vehicle operation. They have two pieces of equipment at their disposal, a pumper/tanker fire truck and a four wheel drive support vehicle, housed at the Robert Hackett Village Hall, located at 3595 Bradway Blvd. They train regularly every Monday night and also in joint training sessions with other surrounding fire departments. Anyone who is a village resident and 18 years of age is eligible to become a member of Bloomfield Village Fire Department. For more information about becoming a volunteer firefighter, contact Deputy Chief Ted Gauthier at (248) 645-8285 or tgauthier@bloomfieldtwp.org.